Trademark ownership is acquired by registration at the National Institute of Intellectual Property (INPI) for French trademarks, at the European Union Intellectual Property Office (EUIPO) for European Union trademarks and at the World Intellectual Property Organization (WIPO) for international trademarks, which may designate France or the European Union. The registration lasts for a 10-year period, which is renewable indefinitely. Registration is granted following proceedings before the relevant office, where registrability of the trademark application is examined on absolute grounds and on relative grounds if an opposition is filed by a third party. In some cases, trademark ownership can be acquired by use. The ownership of a trademark is conferred for the goods and services designated for the territory for which it is registered. While civil trademark litigation is under the exclusive jurisdiction of nine specialised courts, criminal trademark litigation cases can be held before general criminal law courts. In both civil and criminal law cases, the jurisdiction will rule on the case and grant any appropriate remedies, which often include damages, injunctions not to use and publications. Also, the defendant may file any trademark invalidity or frivolous proceedings counterclaim in the same proceedings. Interlocutory proceedings may be sought before or during trademark proceedings on the merits. Most legislation about French trademark law is compiled in Book VII of the Intellectual Property Code (IPC), which includes the law of 4 January 1991 and the subsequent legal changes, notably following EU harmonisation as well as international treaties. For trademarks registered before 1991, the law of 31 January 1964 has to be applied. EU trademark law is notably found in EU Regulations No. 2017/1001, No. 2015/2424, No. 204/2009 and No. 2868/95, as well as Directive No. 2015/2436. the Singapore Treaty of 2006, which harmonises administrative trademarks registration procurements. The French government agency responsible for industrial property is INPI, which administers French trademarks and examines oppositions to registrations of trademarks.6 It is also in charge of ensuring the public availability of information about French trademarks, notably through publication of the information on BOPI, as well as through its internet trademark database.7 INPI decisions can be appealed before specialised civil appeal courts. Moreover, this organ provides informational support relating to trademarks, and the importance of its activities in respect of anti-counterfeiting initiatives has increased recently. Signs used in the course of business can be protected by French trademark law, specific international rules available to unregistered but well-known trademarks, unfair competition law (trade names, company names and domain names), geographical indications and specific rules that protect public local entities. Entities may file for French or EU trademarks either through direct application or through the Madrid System, which has set international trademarks. EU and French provisions are very similar since European trademark law has been harmonised extensively. For both EU and French trademarks, absolute and relative conditions are required. Absolute conditions are those relevant to distinctiveness, lack of deceptiveness and graphic representation, while relative conditions are those relevant to third-party rights. Collective and certification trademarks are subject to additional requirements. signs constituted exclusively by the form imposed by the nature or the function of the product, or conferring on the latter its substantial value. Similar provisions are found in Article 7 of EU Regulation No. 2017/1001. Moreover, under French law, and under EU law until 1 October 2017, the sign must be susceptible to graphic representation as required by Article L711-1 of the French IPC and Article 4 of EU Regulation No. 204/2009. This condition is the reason olfactory or gustatory trademarks cannot be registered. Indeed, the requirement for graphic representation is not fulfilled by a chemical composition, a description or a sample.16 As from 1 October 2017, the requirement for graphic representation is no longer mandatory. Signs may have any appropriate technical representation. However, the signs have to be clear, precise, easily accessible, intelligible, durable and objective. Finally, the trademark cannot harm third-party rights, notably on their prior trademarks, name or geographical indications. Similarly, French collective certification trademarks are governed by rules establishing the characteristic nature, properties or qualities required of the goods or services listed in the trademark application, and stipulating the conditions under which the collective certification trademark can be used. A collective certification trademark can only be registered by an entity that is not a manufacturer, importer or seller of those goods or services. Furthermore, the assignment of a collective certification trademark is conditional upon compliance with its rules of use. EU collective trademarks (which indicate that the goods or services protected by that mark originate from members of an association, and may only be used by them) are also subject to a requirement for rules of use to be filed as an integral part of the collective trademark. However, as an exception, EU collective trademarks may be valid even if the sign can be used to designate the geographical origin of goods or services. EU certification marks (which indicate that goods or services meet certain characteristics, as defined in the regulations of use) have also been available since 1 October 2017. Article 6 bis of the Union of Paris Convention offers a national protection to unregistered trademarks that are well known.19 These trademarks have to be 'known by a large portion of the public'. Under the general rules of civil liability, trade names, company names and domain names can be protected and opposed to subsequent users or to trademark applicants. Protection of trade names may be generated through a personal and public use to identify a business. Protection is available even if the trade name has not been filed at the Trade and Companies Register. French law and practice ensures protection of domain names through the general rules of civil liability. For a long time, geographical indications have been protected by French law, first nationally and subsequently on an EU level. Initially, geographical indications aimed to protect agricultural products. Manufactured goods are now also eligible for protection. Since 2015, local public entities have been able to assert their rights to their image and name, and to oppose applications that may infringe these rights. Such entities may also benefit from INPI's monitoring services to facilitate filing oppositions to trademark registrations. A French trademark application may be filed by one or more legal or natural persons, by a French person, or by a foreigner if he or she is a beneficiary of the CUP, or a national of a WTO Member State, or domiciled in France. Similar requirements are found for EU trademarks. The application can be made by the applicant himself or herself, or by a qualified representative (which is mandatory when the trademark is registered on behalf of several persons or when the applicant is neither established nor domiciled in France, not in a Member State of the European Union nor in an EEA country). The applicant has to provide a model of the trademark and must enumerate the goods and services covered by it. The application provides a national number recorded on the receipt or notified to the applicant. Third parties may make observations during a period of two months following this publication and, if necessary, file an opposition. INPI and EUIPO examine only absolute grounds for refusal, performing an assessment of the sign and the designated goods and services. INPI does not search for previous potentially conflicting trademarks. It is possible to request to modify or withdraw, totally or partially, the application up until EUIPO starts to make the technical arrangements for registration. Such requests must be in writing. The procedure before the European Trademark Office is quite similar: the first step is a verification of the formal compliance of the application with Regulation No. 2017/1001, then the list of goods and services is sent to the Translation Centre for the Bodies of the European Union, in Luxembourg. If it has been requested, a research report can be drafted about potentially conflicting trademarks; the report can also cover national marks, in which case a request is transmitted to the required national trademark office. All reports are then sent to the applicant before the European Trademark Office considers absolute grounds of refusal. Afterwards, the application is published in the EUTM Bulletin; oppositions can be filed within three months of this publication. Once an application is filed, the owner receives a six-month priority right to make other applications in Europe or abroad, while keeping the initial application date. For both French and EU trademarks, registration takes effect from the date of filing of the application for a period of 10 years, which is renewable indefinitely. The renewal of French trademarks must be made within a period of six months, expiring on the last day of the month in which the period of protection ends. However, the declaration can still be made within six months of the day following the last day of the month in which the protection expires, but a supplemental fee has to be paid. EU trademarks may be renewed six months before their expiry date, and they also benefit from a six-month grace deadline, subject to payment of a fee (an additional 25 per cent). The charges for an application at INPI of up to three classes of goods or services are €250 for a paper-based application, or €210 for an internet-based application. There is an additional cost of €42 per class if the applicant chooses to apply for more than three classes. Renewal fees are the same as filing fees. Charges for an EU regular trademark application designating one class are €1,000 for a paper application and €850 for an electronic application; an additional €50 is charged for a second class and €150 for all subsequent classes. Renewal fees are the same as filing fees. Article L711-4 of the French IPC establishes the following open list of rights that may constitute a prior right to a trademark:21 registered or well-known trademarks, company names, trade names, geographical indications, copyrights, industrial designs, third-party personality rights (especially his or her family name, pseudonym or image), and the name, image and reputation of a local public entity. The prior-right assessment depends on the right invoked. For prior trademarks, company names and trade names, it will be the likelihood of confusion between the signs at stake; for famous or well-known signs, name, image and reputation of a local public entity, it will be an assessment of the harm to the prior sign. Also, regarding personality rights and domain names, it can be an assessment based on civil liability and therefore more generally an assessment of the harm to the prior right. As of May 2016, all oppositions have to be filed online on INPI's website. The opposition is notified to the applicant. The applicant has at least two months to present counter-observations. If the applicant fails to do so, the INPI will make a decision on the matter. In the case of proper compliance by the applicant, the INPI shall issue the draft of a decision, which will be communicated to both parties, who will both have the opportunity to present their observations. If the draft is not contested, it will be adopted as a decision. During opposition proceedings, the applicant may request evidence of use of the prior trademark if it has been registered for more than five years. The INPI fee for filing an opposition is €325. The opposition may be filed by the right holder or by appointed counsel. Opposition proceedings are also available against EU trademark applications and must be filed within three months of the publication of the application. The opposition fee is €320. After the opposition is declared admissible, there is a cooling-off period during which the parties are given the opportunity to terminate the proceedings. Afterwards, parties are each given two months to communicate their arguments on the case; there can be several exchanges of briefs. EUIPO will then make a decision about the opposition. If an EU opposition succeeds, the applicant will have to pay the other party's costs (roughly €650); if it fails, the opponent will have to bear the costs (roughly €300). In the case of only partial loss, the costs will be shared. There are no such provisions regarding French trademarks. Trademarks can be challenged by invalidity actions before a court specialised in trademark law that has territorial jurisdiction on the case. If the trademark is not distinctive, if it is deceptive, contrary to public policy and public morals, or if it cannot be represented graphically, any interested party can request its invalidation. However, if the trademark infringes a prior right (trade name, surname, copyright), only the holder of the prior right can initiate an action. Infringement actions based on prior rights, whether copyright or trademark, as well as civil liability actions (i.e., rights on a corporate name), can also be brought against a trademark before a specialised court, and can lead to its invalidation. Trademark ownership may be claimed by a party who considers that the trademark has been applied for fraudulently. Judicial first instance proceedings usually last nine to 18 months. The court fees are a few hundred euros. An appeal against a ruling from INPI rejecting a trademark may be lodged within one month of the ruling before the specialised appeals court that has jurisdiction on the territory where the claimant resides. The deadline is extended by a month if the appellant resides outside Metropolitan France22 and by two months if the appellant resides outside France. These proceedings usually last four to 12 months. Civil actions and applications related to trademarks, including those with issue of unfair competition, shall be brought exclusively before the specialised courts of first instance, which currently are Bordeaux, Lille, Lyons, Marseilles, Nanterre, Nancy, Paris, Rennes, Strasbourg and Fort-de-France. Litigation based on unfair competition law shall be brought before commercial courts only if both parties are merchants, and before civil courts if one of them is not a merchant. Since 2015, it has been mandatory to prove that an attempt has been made to reach an amicable solution before beginning a proceeding, or to justify due cause for not fulfilling this obligation. Under French law and practice, several alternative dispute resolution methods are often used. Many cases are settled before any legal action starts and the settlement may prohibit subsequent legal proceedings. Mediation is another kind of alternative dispute resolution. More and more courts nominate mediators during commercial law proceedings. Arbitration proceedings are also regularly used, since Paris has several arbitration courts. However, it is not possible to obtain the revocation of a trademark (or the nullity of any intellectual property right for that matter) through these alternative methods. The decisions rendered are only enforceable inter partes, as opposed to judicial decisions, which are enforceable erga omnes. Nonetheless these procedures may ensure confidentiality as well as an outcome that may be applicable around the world. Should an amicable outcome not be possible, the party that wishes to initiate proceedings needs to gather all evidence to show its rights and how they are harmed. To do so, the plaintiff may seek to initiate seizure proceedings, which are available to a party after a judge issues a court order specifying the date, place and type of seizure (either a mere description or the judge can also allow the seizure of samples, devices involved in the infringing process, or any documentation pertaining to the infringing activity). A bailiff conducts the seizure; he or she can be assisted by experts (in software, a trademark and patent attorney, a locksmith, etc.) who cannot, under any circumstances, dictate any part of the report at risk of seeing the entire procedure cancelled (the courts are extremely strict on that point). Proceedings must be initiated within 20 working days or 31 calendar days of the seizure. Trademark infringement is the most common cause of action. It involves opposing trademark rights to undertakings that use the protected sign for identical or similar goods or services. It is required to establish likelihood of confusion when the signs, goods or services are not identical. Unfair competition regulated by civil liability provisions is often used either as an additional claim or as a subsidiary claim. It can cover many types of conduct, notably disparagement, which means spreading pejorative and malicious information about a person, a company or a competitor's products. Unfair competition law also prohibits generating confusion in customers' minds between companies or their products. This is the behaviour by which an economic agent interferes in the activity of another to profit, without spending anything, from its efforts, investments and know-how. Most case law in the digital arena, notably on domain names and the look and feel of web pages, is based on these general civil law rules. A plaintiff can request the communication of pieces of evidence related to any alleged infringement from the delegate of the President of the Paris Court before legal proceedings are initiated (notably with seizure proceedings) or, once proceedings are pending, by presenting a petition to the judge in charge of the case management. It enables the right holder to take the full measure of the extent of the infringement, both in terms of the network (producers, distributors and all involved parties in between) and the quantities concerned (of goods, benefits made, etc.). The time frame for gathering such evidence varies from half a day to a couple of months. Moreover, the owner of a trademark can request customs seizures and follow up with civil or criminal law proceedings. Judicial proceedings start with the filing of a complaint that has been served to the defendant and then filed at court. According to the Paris Bar and Paris High Court Civil Procedure Protocol signed on 11 July 2011, for proceedings on the merits, there should be a total of four briefs, including the complaint. An argument or an element of fact not referred to in these writings cannot be taken into account by the court. The defendant is the one who responds last. The case is heard at final oral pleadings by one to three professional judges, and the ruling is issued a couple of weeks later. First instance disputes related to trademark proceedings, such as infringement, dilution, invalidity or unfair competition claims, last nine to 12 months. An appeal can be lodged within the shortest of the following deadlines: one month after the notification of the ruling for French residents (two months for persons located in France but outside metropolitan France and three months for foreign residents); or two years after the date of the ruling. Urgent proceedings and interlocutory proceedings may take a couple of days or weeks. They start with a written complaint served to the defendant and then filed at court. Urgent proceedings are by nature oral but parties often file briefs ahead of the oral pleadings to support their final oral argument. The deadline to appeal against interlocutory proceedings is either two years after the ruling or 15 days after notification of the ruling for French residents; one month and 15 days for persons located in France but outside Metropolitan France; and two months and 15 days for foreign residents. Appellate proceedings take between one and two years. The losing party can be ordered to pay the other party's court fees and all other costs. In any of these proceedings representation by a lawyer is mandatory; however, proceedings before the commercial court (which may have jurisdiction in cases about company names or trade names not involving trademark law) do not require representation by a lawyer. In practice, most cases are heard before civil courts. However, trademark infringement proceedings may be initiated by the owner, the public prosecutor or the customs authorities since trademark infringement is also a criminal law tort. In particular, the IPC provides that trademark infringement shall be punished by a prison term ranging from three to five years (depending on the type of conduct) and by fines ranging from €300,000 to €500,000. A trademark infringement case is heard before the general criminal law court after an investigation by customs, the police or a judge. These proceedings may be a very helpful deterrent and enable the trademark owner to find infringement networks. However, the case may take a couple of years longer and the allocated damages and legal fees may be considerably lower. Customs proceedings are also very commonly used. EU Regulation No. 608/201327 and national law (the Customs Code) allow – for both French and EU trademarks – detention or seizure of counterfeit goods. The right holder and the exclusive authorised licensees can submit applications for such customs proceedings. Customs authorities can also proceed on their own initiative. While Regulation No. 608/2013 is applied at the external borders of the EU, French legislation is applicable to commerce between Member States. If counterfeit goods are found by customs authorities, following the notice of the seizure, the right holder or person with appropriate decision-making authority has 10 days to inform the customs authorities that he or she is engaged in legal proceedings, otherwise the customs authorities would have to release the goods. The effect of Brexit on EU trademarks is a major concern for right owners, who will probably need to find reliable yet cost-effective ways to secure their rights in both the EU and the United Kingdom. The implementation of the 'trademark package' will grant to both courts and national authorities jurisdiction to decide on invalidation and revocation proceedings. 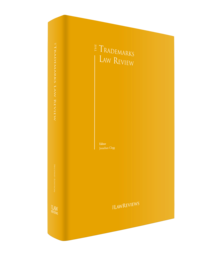 It therefore raises many questions about trademark invalidity proceedings in the coming years, in particular how invalidation or revocation proceedings will be handled in conjunction with infringement proceedings. Currently the decision is at a political stage. There is currently abundant case law on the statute of limitations in relation to seeking the invalidation of trademark rights. 1 Catherine Mateu is a partner at Armengaud-Guerlain. 2 Nicolas Binctin, Droit de la Propriété Intellectuelle: Droit d'auteur, brevet, droits voisins, marque, dessins et modèles, 4e edition, LGDJ, 2016, p. 451. 3 Tribunale de Grande Instance de Paris, 3rd Chamber, 16 March 2017, RG 2015/11131. 4 Court of Appeal of Paris, 15 May 2018, No. 17/07124. 5 CJEU, 12 June 2018, C-163/16, Christian Louboutin. 13 Cour de cassation, Chambre commerciale (Cass.com. ), 6 December 2016, No. 15-19.048. .
15 Pole 5, Chamber 1, 14 February 12017, Case No. 16/04876. 16 CJCE, 12 December 2002, C-273/00, Sieckmann. 17 Cass.com., 29 June 1999, Bull. 1999 IV, No. 145, p. 120. 18 Pole 5, Chamber 1, 13 January 2015, Case No. 2013/12820. 19 Cass.com., 20 March 2012, Case No. 2011/10514. 20 Cass.com., 24 February 2005, Case No. 2003/14668. 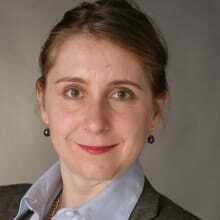 21 Court of Appeal of Paris, Pole 5, Chamber 2, 23 November 2012, Case No. 2011/16558. 22 French territory included in Europe, that is to say continental France and Corsica as opposed to other territories, such as the islands of New Caledonia, Réunion or Martinique. 23 Cass.com., 12 March 1985, Case No. 84-17163. 24 Cass.com., 6 May 2003, Case No. 00-18192. 25 Cass.com., 8 February 2017, Case No. 14-28.232. .
26 Article L716-14 of the IPC. 27 Regulation No. 608/2013 of the European Parliament of the Council of 12 June 2013 concerning customs enforcement of intellectual property rights and repealing Council Regulation (EC) No. 1383/2003. 28 Court of Appeal of Paris, Pole 5 – chamber 1, 15 May 2018, No. 17/07124. 29 Court of Appeal of Paris, Pole 5 – chamber 2, 6 April 2018, No. 17/01742. 30 Paris Court of First Instance, 21 November 2017, interim order, Lafuma Mobilier/Alibaba et autres. 31 Australia – Certain Measures Concerning Trademarks, Geographical Indications and Other Plain Packaging Requirements Applicable to Tobacco Products and Packaging: Reports of the Panels (28 June 2018). See: https://www.wto.org/english/tratop_e/dispu_e/cases_e/ds467_e.htm.